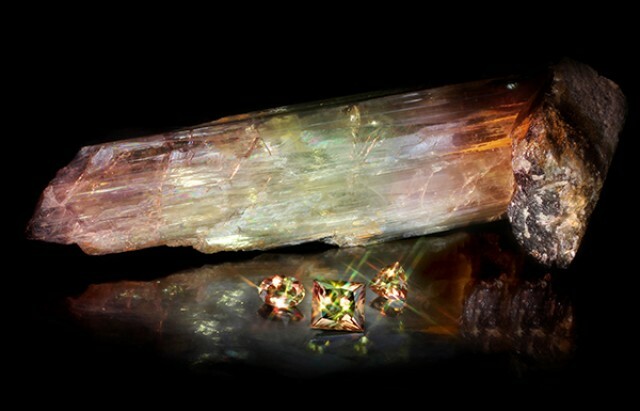 Zultanite, Csarite And Diaspore – What is The Difference? First let’s have a closer look at the mineral Diaspore. Diaspore was first discovered in 1801 in Russia. 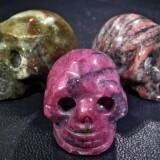 The first discoveries where of a small amount of included material with more deposits found of facet grade material. 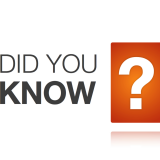 The name Diaspore comes for the Greek word “diaspora” meaning to scatter. 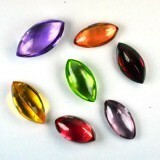 It was called this because of the way the gemstone seemed to scatter the light and sparkle. 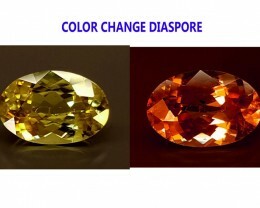 Diaspore has a unique color changing ability. 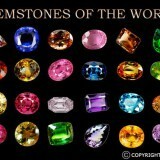 It is one fo the few color change gemstones in the world along with Sapphires, garnets and Alexandrite. 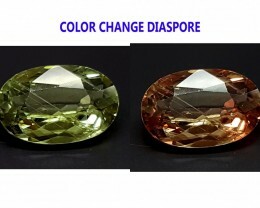 Diaspore is generally a yellowish green color in fluorescent light and it changes to a reddish pink color in incandescent light. The gem can look like both of these colors at the same time depending what type of light is hitting it. 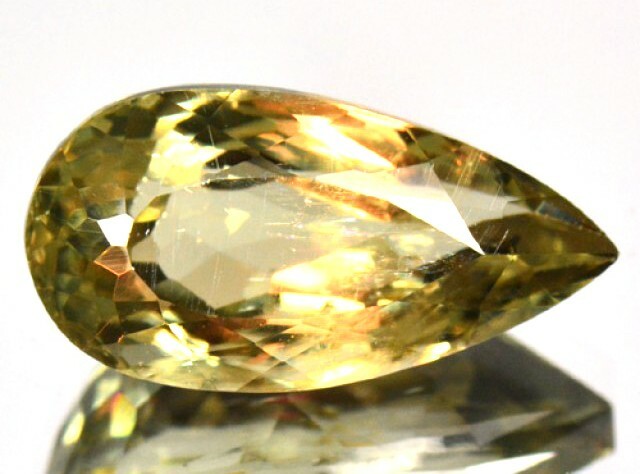 Diaspore is a very durable gemstone with a hardness of 6.5 – 7 on the MOHS scale. 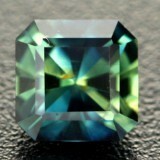 This puts it in the same ball park as Tanzanite or Perdiot. Since Diaspore has perfect cleavage in one direction it can be difficult to cut because parts of the stone will cleave off. Since 1801 when it was first discovered there have been numerous deposits found. It can now be found in the USA (Arizona and Pennsylvania), New Zealand, Brazil, Argentina, Russia, the UK and China. You will notice that I have left Turkey off this list. The Diaspore that comes from Turkey is special. Let’s take a look. 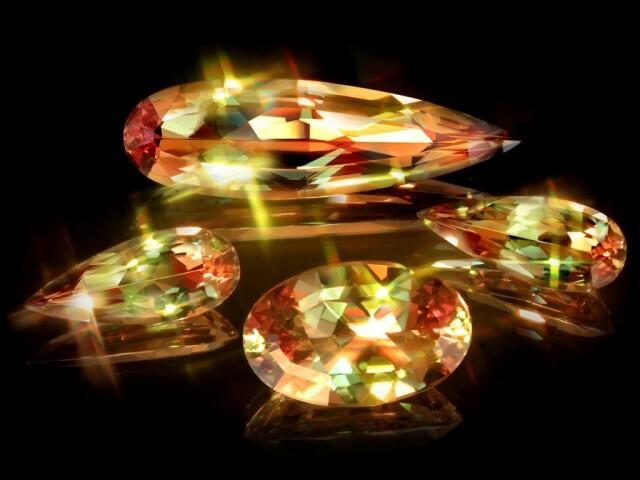 There is a deposit of Diaspore in Turkey that is unlike any other deposit. 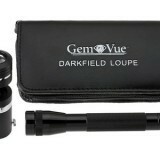 It has incredible color changing properties with up to three distinct colors visible at any one time. The mine in Turkey is owned by a man named Murat Akgun. 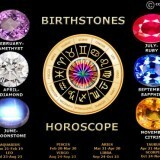 It is his company who has introduced the gemstones of Zultanite and Csarite to the world. The names have been derived from the tsars of Turkey. Yes and no. 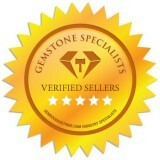 You must understand that Zultanite and Csarite are trademarked names and belong to a brand. 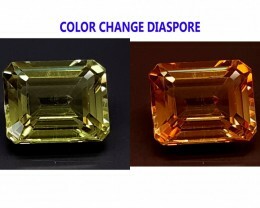 While the mineral is Diaspore, there are some major differences. Lets take a Big Mac for example made by McDonalds. This is Zultanite or Csarite. If you were to create the exact same burger at home and tried to sell it you could not call it a Big Mac. That name is trademarked and given only to a burger who is made under strict guidelines using specific ingredients. 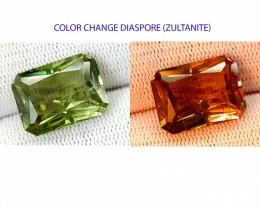 Diaspore and Zultanite / Csarite are exactly the same. 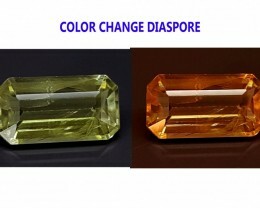 If you have a Diaspore that looks exactly the same as Zultanite or Csarite it is not able to be called that because it did not come from the company who produces that gem.